Question: What do Jane Pauley, Rocco DiSpirito, Cameron Diaz, Snooki Polizzi, Alicia Silverstone, Rick Springfield and Howard Kroplick have in common? Answer: They all will be having 2014 book signings at Book Revue at 313 New York Avenue in Huntington. 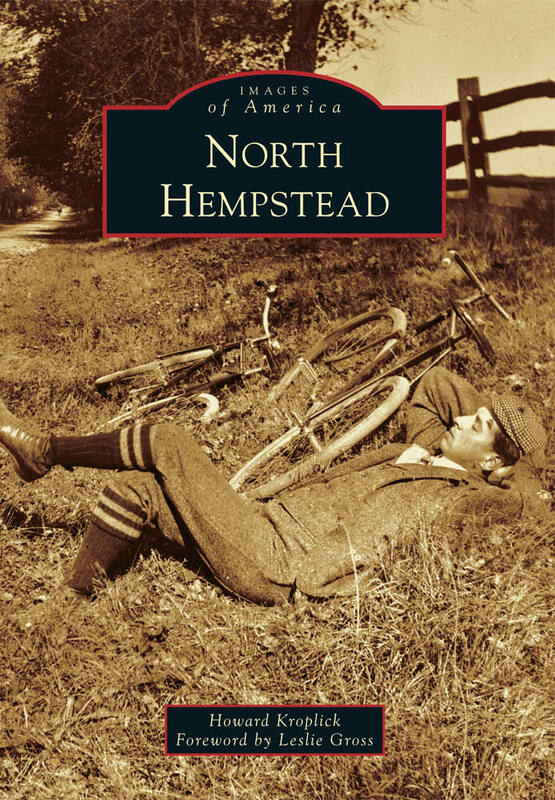 Please join me at 7:00 PM on Friday, March 14, 2014 for a signing of my new Arcadia book North Hempstead. All proceeds from this book signing will be matched and donated to the Let's Do Lunch program of the Sid Jacobson JCC located in East Hills. 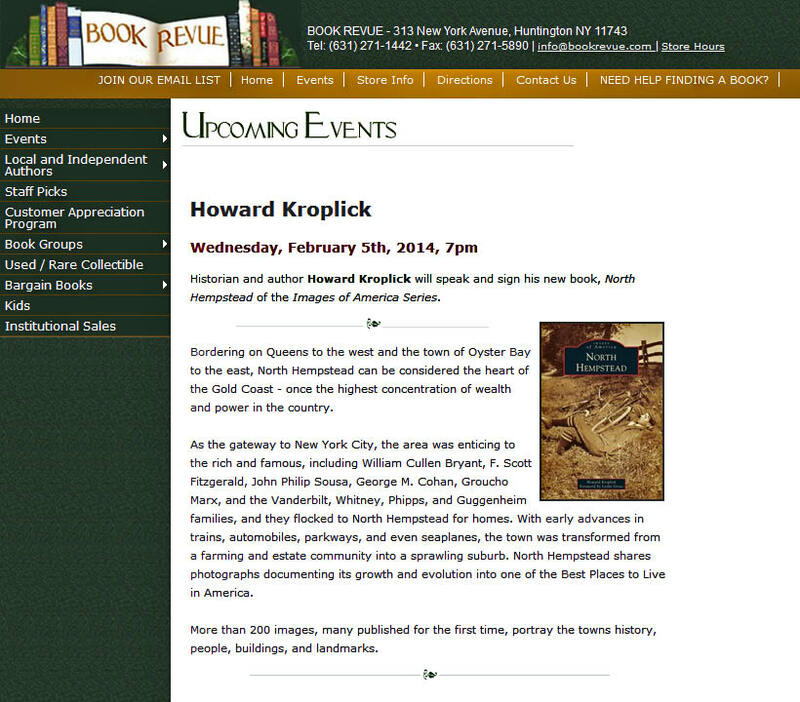 Historian and author Howard Kroplick will speak and sign his new book, North Hempstead of the Images of America Series. Bordering on Queens to the west and the town of Oyster Bay to the east, North Hempstead can be considered the heart of the Gold Coast - once the highest concentration of wealth and power in the country. As the gateway to New York City, the area was enticing to the rich and famous, including William Cullen Bryant, F. Scott Fitzgerald, John Philip Sousa, George M. Cohan, Groucho Marx, and the Vanderbilt, Whitney, Phipps, and Guggenheim families, and they flocked to North Hempstead for homes. With early advances in trains, automobiles, parkways, and even seaplanes, the town was transformed from a farming and estate community into a sprawling suburb. North Hempstead shares photographs documenting its growth and evolution into one of the Best Places to Live in America. More than 200 images, many published for the first time, portray the towns history, people, buildings, and landmarks. My wife Mary & I will be there, this is great, congratulations Howard!